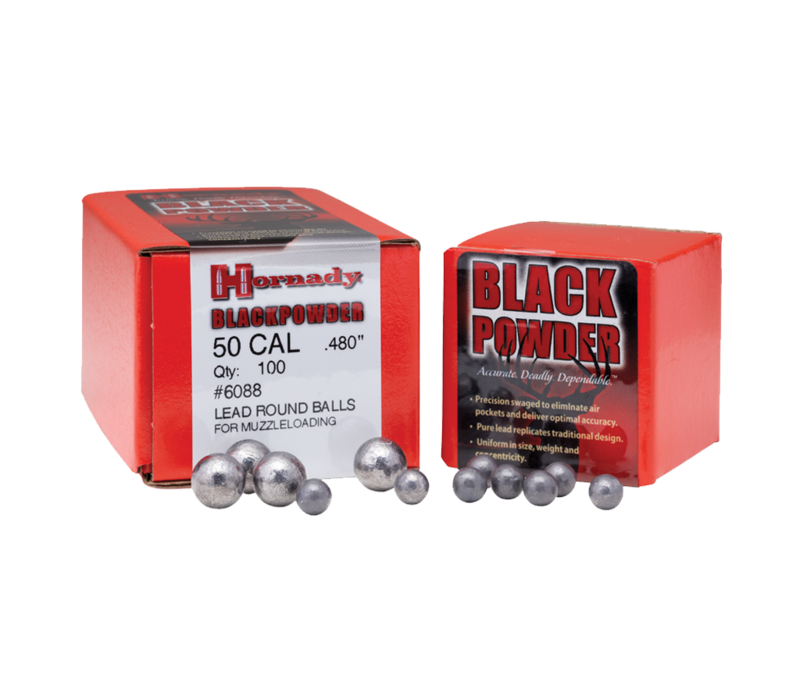 Completely uniform in size, weight, and roundness, Hornady® Round Balls deliver consistent and accurate performance. They’re cold swaged from pure lead which eliminates air pockets and voids common to cast balls. And the smoother, rounder surface assures better rotation and consistency. Precision swaged to eliminate air pockets and deliver optimal accuracy. Pure lead replicates traditional design. Uniform in size, weight and concentricity. IMPORTANT: Before choosing a round ball diameter, check the bore size of your firearm and take into consideration whether you're using compression fit or patched projectile loading. Gain a deep knowledge of ballistic science and access our improved ballistic calculator. Introducing the lastest products from the worldwide leader in ammunition. Download the Get Loaded® and Safe & Secure promo redemption forms. Sign up to receive new product announcements, special offers, and the annual product catalog.